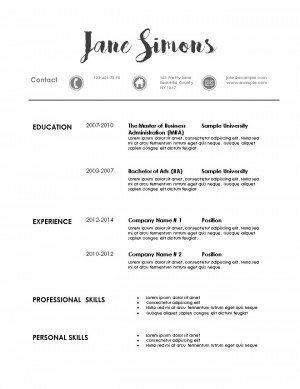 Free modern resume template with a contemporary design. 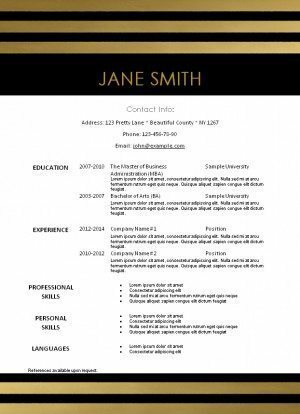 Can be edited with Microsoft Word. Many designs available. 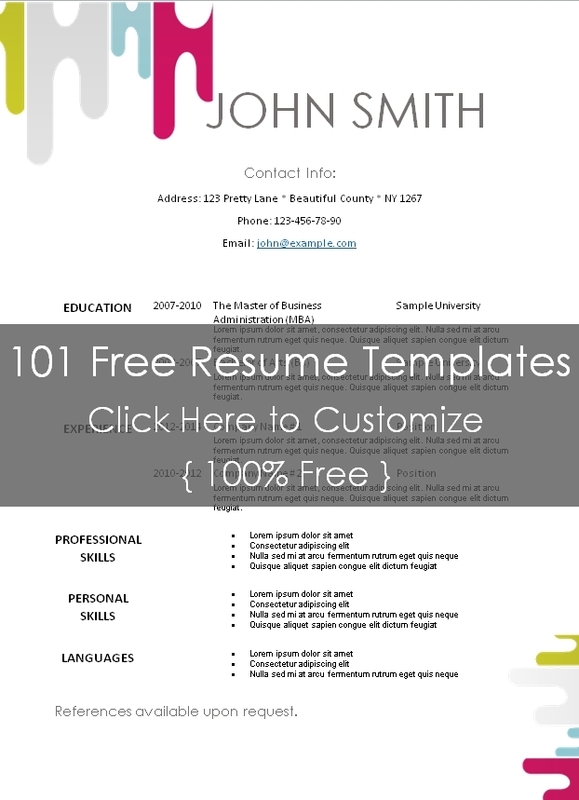 Free instant download. 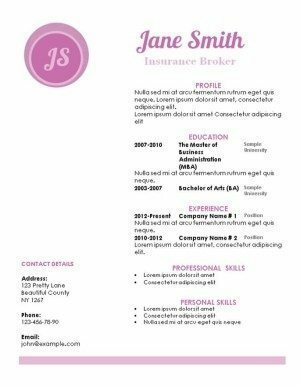 This is a contemporary resume template with a bit of pink to add color, interest and femininity. 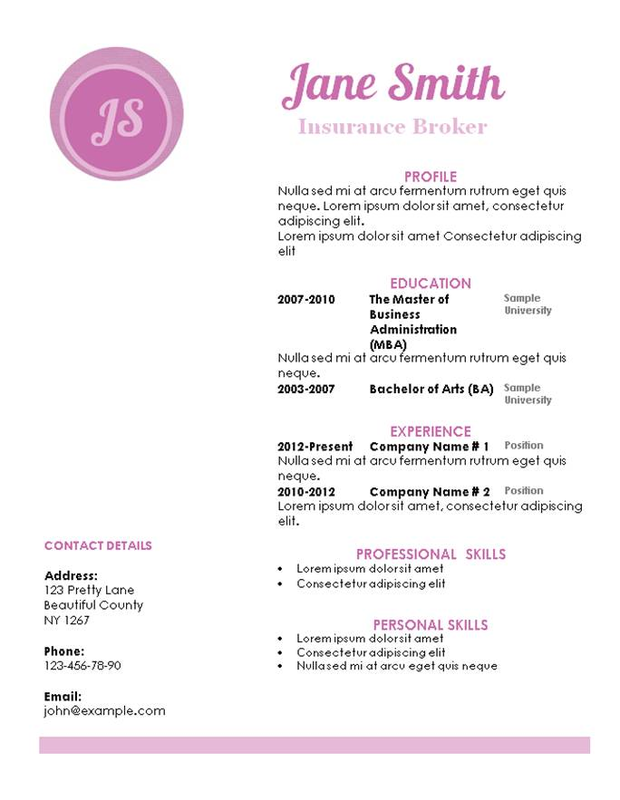 Add your initials inside the pink circular pattern. 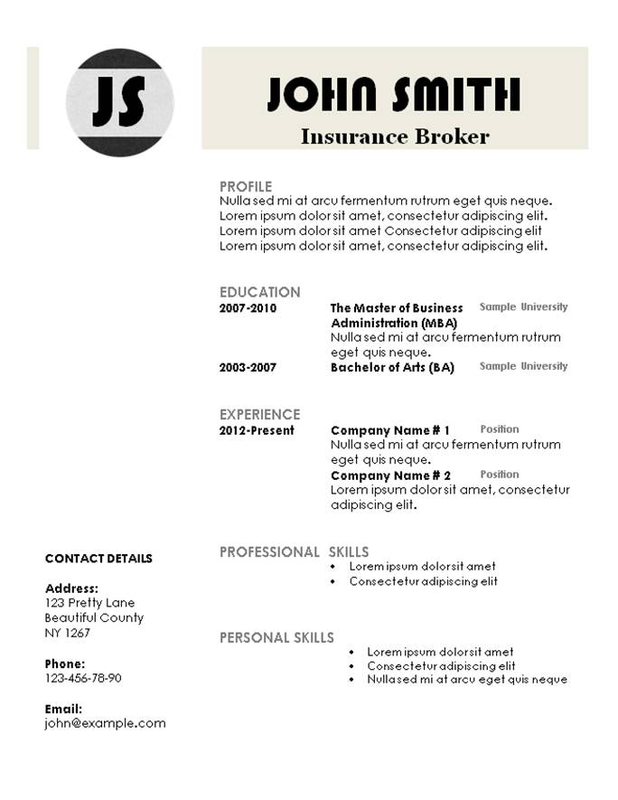 The text is black with pink titles. 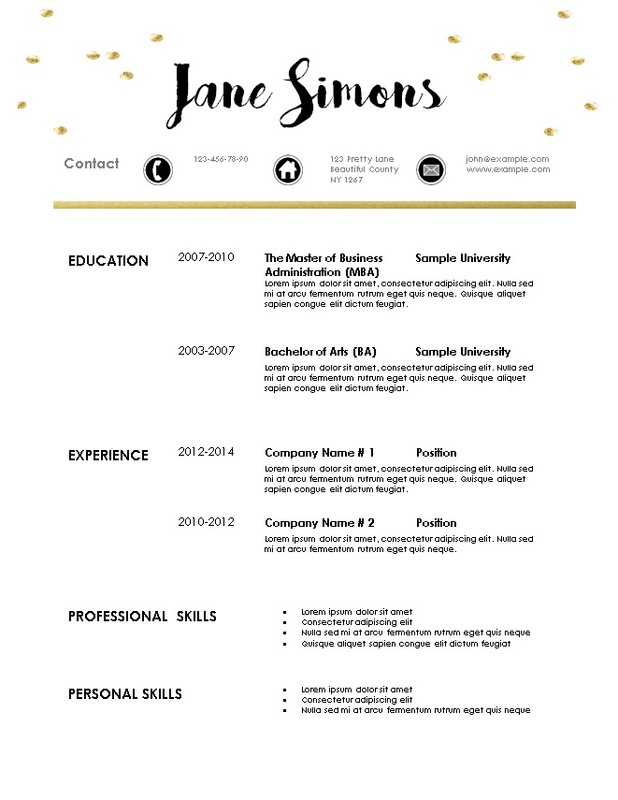 This modern resume template has a masculine look. 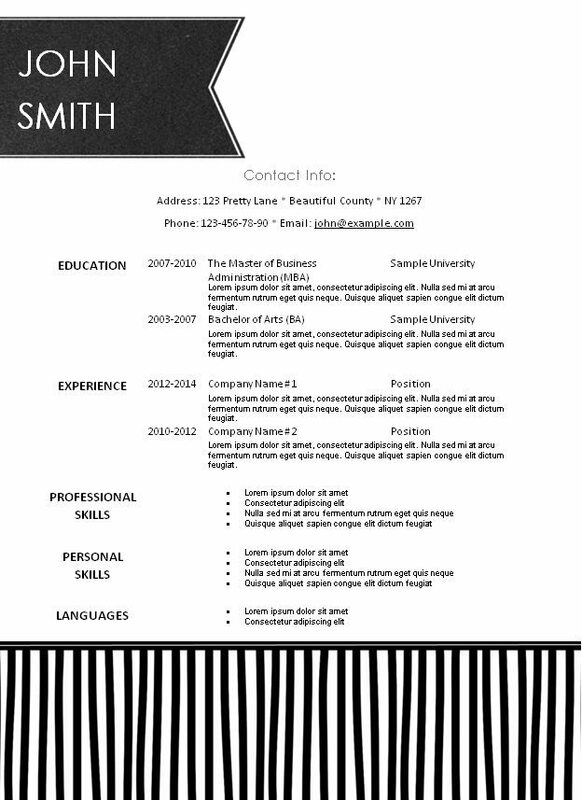 It has a lot of white space with black text and titles. 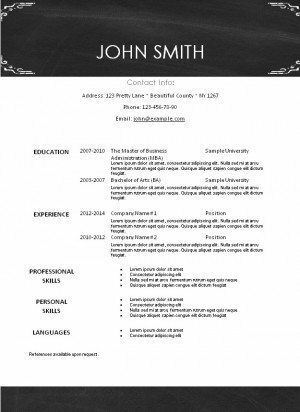 The name of the applicant is on top of the page with a light tan background and his initials are in the top left corner. 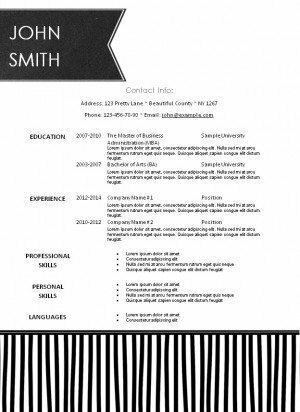 This resume template has a lot of white space. 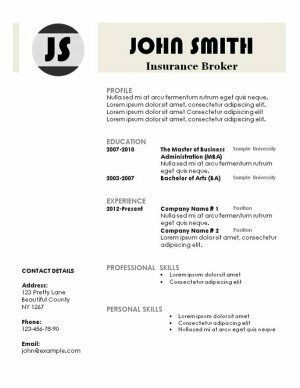 It has a chalkboard label which adds a very modern look. 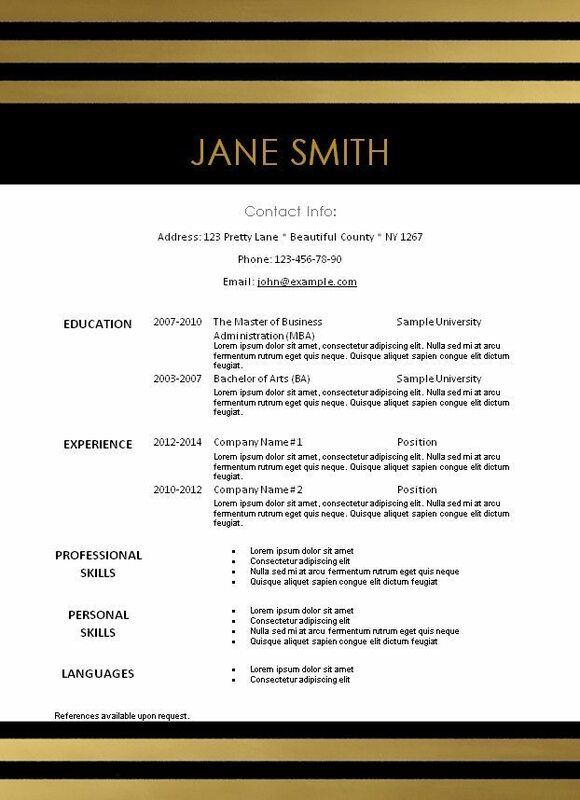 This resume template has a chalkboard background. 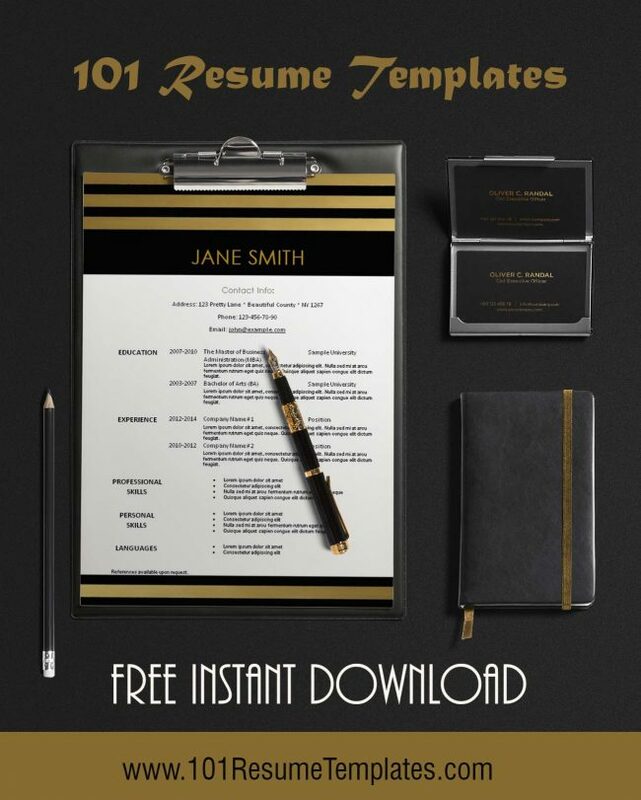 You can write your name with a chalkboard font which will be more creative but might be risky. 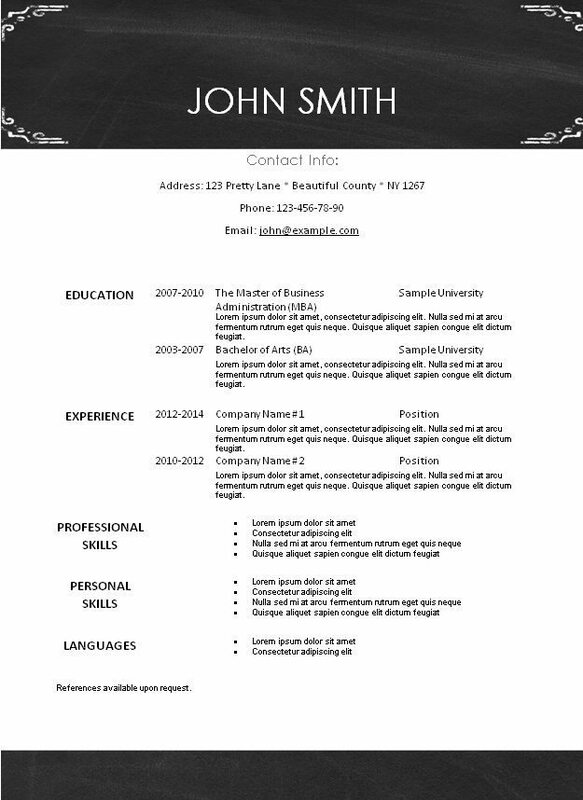 It is better to stick to more formal fonts. 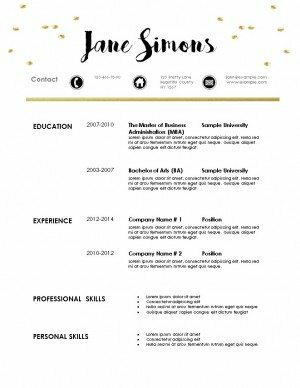 This resume template is elegant in black and gold. 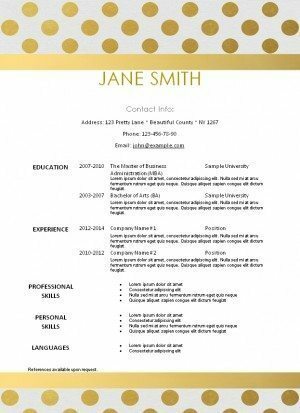 This resume template has gold polka dots and a gold stripe at the top and bottom of the template. 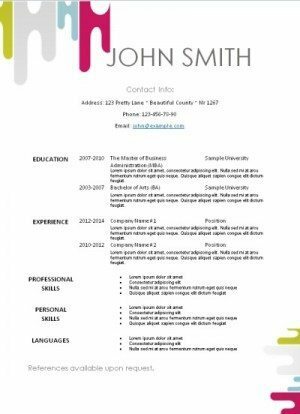 This contemporary resume template has bold pattern on the top of the page in pink, blue, yellow and grey. 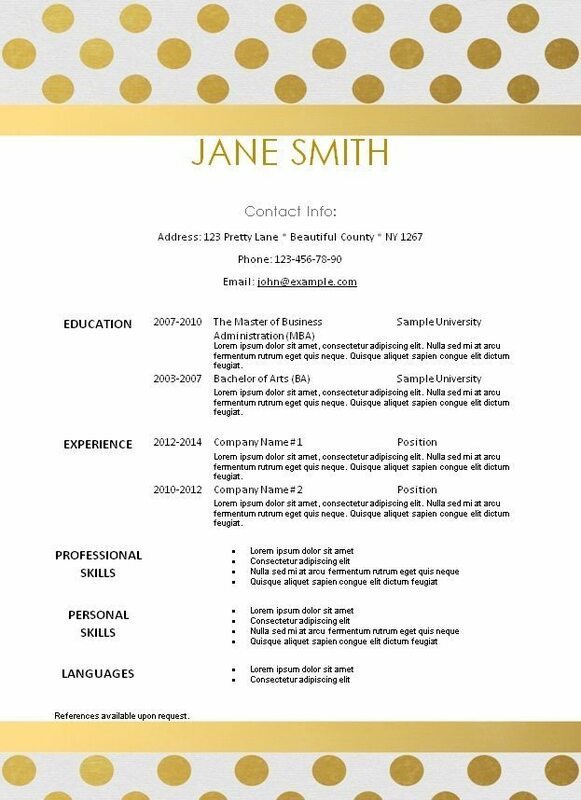 This resume template has a splash of color. 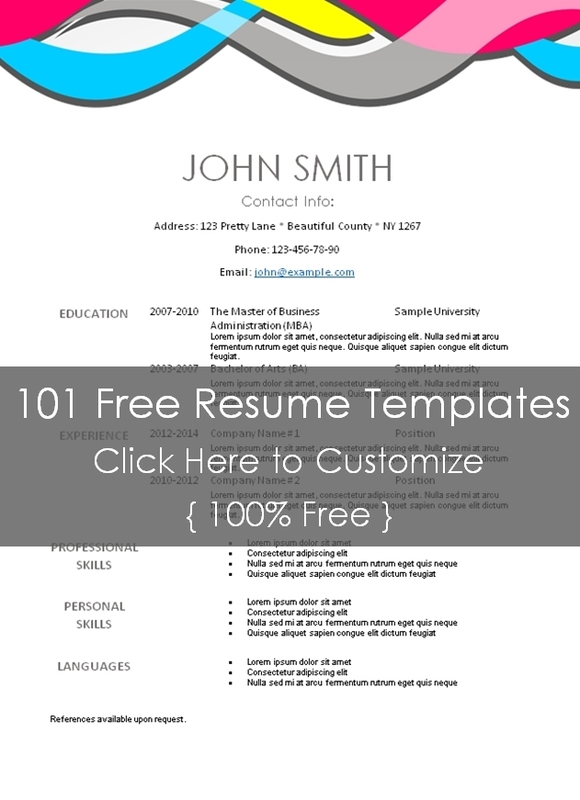 It is not too overwhelming but still not appropriate for many professions that require a more traditional resume. This resume template has a colored wavy pattern on the top of the page to add interest. 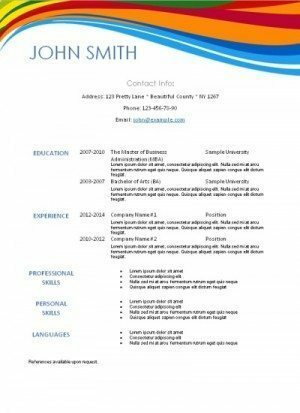 The text is black with blue titles. 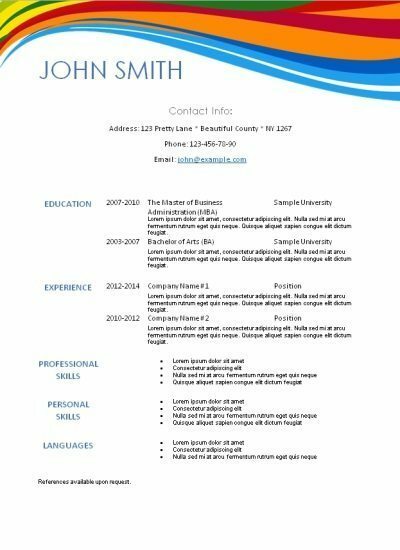 If you are looking for a bold resume that really stands out you can change the color of the titles and use additional colors but do so with care as using too many colors is not appropriate for all job applications. 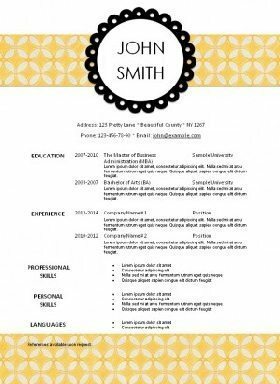 This resume template has a yellow pattern on the background and is sure to stand out in a huge pile of resumes. 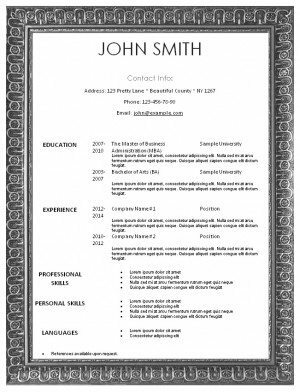 This resume template has an elaborate silver frame.